RemGrit® cuts through materials conventional tooth blades can’t penetrate! Recommended for use in super alloys, fiberglass, honeycomb, foamed glass, hardened steel, graphite composites, fiber cement board and composite deck material. 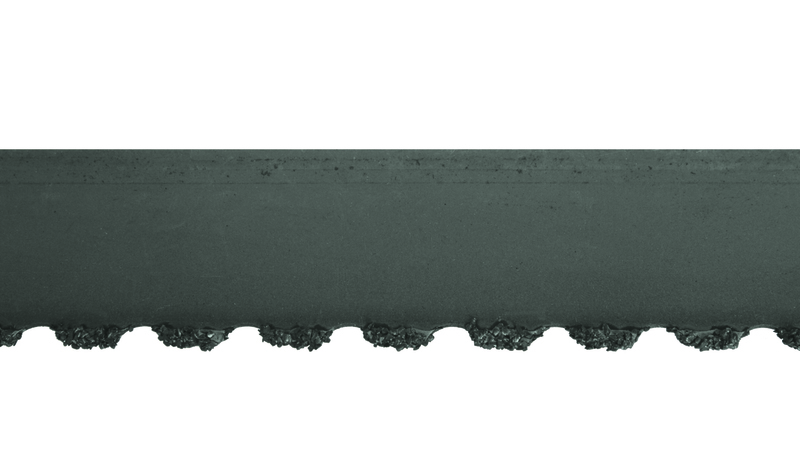 Gulleted edge features tungsten carbide grit bonded to an alloy steel back. Carbide particle placement enables band to be run in either direction. Unequalled life and cutting performance for hard or abrasive material.